If you need yet another reason to jailbreak your iPhone, here it is: The popular Sparrow for iPhone email client will require a yearly subscription to enable push notifications for incoming messages. The sad news has been officially confirmed by developer Dom Leca and the Sparrow team. Apple apparently told them they “are not willing to do any exception to the rule” concerning push support in Sparrow. Of course, those with a jailbroken iPhone can simply download Sparrow Push, a handy little tweak that adds this useful feature to the otherwise awesome email client at no additional cost. If you remember my Sparrow review, I said it was a great app that was marred by a few missing features — namely: push notification capability, and the ability to make Sparrow the default Mail app. 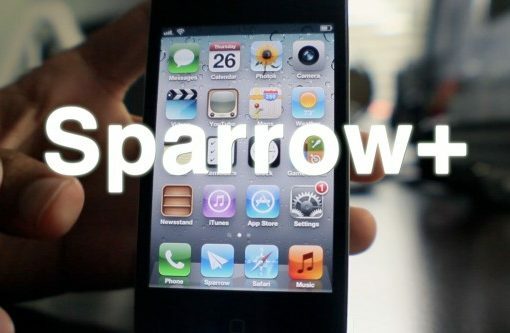 In due time the folks at Sparrow will undoubtedly solve the push notification issue, and a few enterprising iOS jailbreak devs have already taken the liberty on that issue as well. One feature that’s not so easy to implement is making Sparrow iOS’ default mail client. In fact, unless Apple does a virtual 180 on its current stance, this will never be a feature of Sparrow, or any other 3rd party Email app for that matter. The only hope to implement such functionality rests with the jailbreak community. In fact, I reached out to iOS developer Majd Alfhaily yesterday, and he graciously accepted my request for such a feature in his upcoming jailbreak tweak coined: Sparrow+. Sparrow, once only a third-party email client for the Mac, landed on iOS last month with a splash. The $2.99 software provides users with an excellent alternative to the native Mail option.